I read this book along with TJ at My Book Strings and CJ at ebookclassics. Make sure to go over and see what they have to say about it! If you’re interested in (Canadian) history or in learning more about the settling of North America, Roughing It In the Bush is priceless. 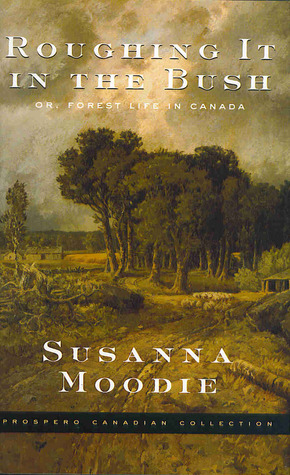 Susanna Moodie tells us about her journey from England to Upper Canada (Ontario) in 1832, what the conditions were like, and what the people were like. What I like most about this book are the stories and descriptions of all the people/characters they come across in their travels; friends, neighbours, servants and scallywags. It is also fascinating to be inside the head of a young woman from almost 200 years ago, newly married with a young family, coping with being far from home with little hope of returning, and learning how to live in a new world where all the rules have changed. Strange people who don’t understand you or care about your deprivations. Having to squeeze your family and servants all into tiny shacks and cabins. Your servants, your neighbours, and everyone else think they are just as good as you are and demand fair treatment. This does not necessarily apply in the case of Indigenous people or people of African descent. You will most likely end up with crass and nosey neighbours who like to swear and who want to “borrow” all your nice things. Extreme workload. Heavy toiling in the fields/woods/house. You will probably be swindled out of all your money, or lose it all paying servants to do all the heavy toiling for you. Then you will be left with very little to eat and will be doing all the heavy toiling yourself. The dark woods with bears and wolves (and cows). Dangerous fires, most likely to happen when your husband is not at home. Frequent illness, mostly The Ague. Even worse, back flies. Nothing is worse than the black flies. If you are a married woman, you may be pregnant and giving birth much of the time, and during much of the above, making everything on this list exponentially worse. Despite all the things listed above, or maybe because of it, you will form a fierce pride and love for your new country. You will feel as though everything you have sacrificed and endured was for the benefit of your offspring and for others coming after you, and this feeling will give you the warm fuzzies. The beauty of your new country will wash away all your feelings of homesickness, and you may also be able to use it to make some extra money. For example, by painting pictures on giant fungi and selling them. Or by writing a book. Optimistic and a good sport. Aware of the differences in society between England and Canada, and willing to adjust to them. Always prepared to help someone out, or to let them “borrow” something they might need, even though she knows she may never see it again. The chapters of the book provided by Mr. Moodie are more about the economics and politics of the area at the time. Perhaps valuable and interesting to some, but you may find them to be a little dry and long-winded. He seems to be a decent guy. No sign of abuse, neglect, or strong attachments to the bottle. He also seems to have a deep affection for his wife and children. I’ll let you know if I find out differently in any further reading. Mr. Moodie and Susanna both wrote a lot of poems and songs about Canada and their experiences, many of which are included in the book. Susanna seemed to revel in the study of other people, much to the delight of this reader. Bold, generalizing comparisons are made between Canadians, Americans, and Europeans. “The great fault of the Canadian character is the unwillingness to admit the just claims of education and talent, however unpretending, to some share of consideration. In this respect the Americans of the United States are greatly superior to the Canadians, because they are better educated and their country longer settled.” Huh. Many individual character sketches are also made – these are probably the most entertaining part of the book. The man who gave his sons a “strong aversion to drink” by deliberately making them very drunk at the age of 5. It worked on all his sons, but one. Old Jenny, who is just as much at home out in the fields as in the house with Susanna. Whenever there is threat of a wild animal, she comes running with her knife to “help”. Probably my favourite story is about “the Little Stumpy Man”. He came to the house one day for a night’s lodging and stayed for 9 months. All he did was complain about everything, including the food he was served, and did very little to help out. He had an affection for the Moodies’ little son, but was quite nasty to their girls. One day he asked little Katie for a kiss in exchange for some raspberries and she raged back at him, calling him the ‘Little Stumpy Man’. If you only read one chapter from this book, it should be this one. 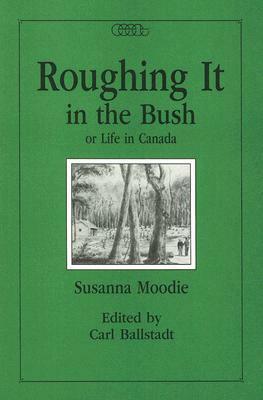 At the end of the book, there is an Introductory Chapter to the 1871 Edition of Roughing It In the Bush, in which Susanna contrasts Canada of 1871 with Canada of 40 years before. She talks about the leaps and bounds Canada has made in terms of growth in population size, towns and cities, art and culture, science and literature, and education (perhaps we had caught up a bit to the Americans by this time). But most significantly, she talks about the freedom of living in the new world; the freedom of religion, politics, speech, and socialization. Susanna’s older sister and brother were both already settled in Upper Canada when the Moodies came over. 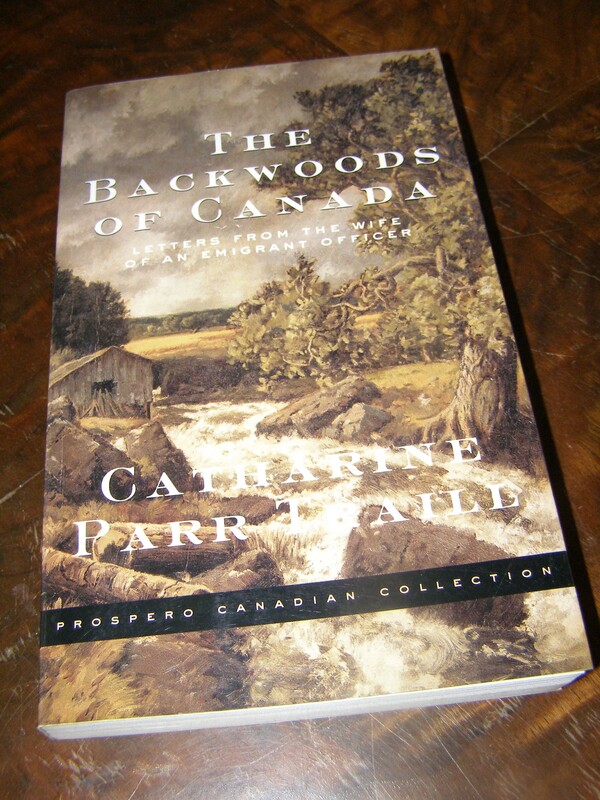 And, being from a literary family, they both have also written books about their experiences in Canada; The Backwoods of Canada by Catherine Parr Traill and Twenty-Seven Years in Canada West V1 by Samuel Strickland. 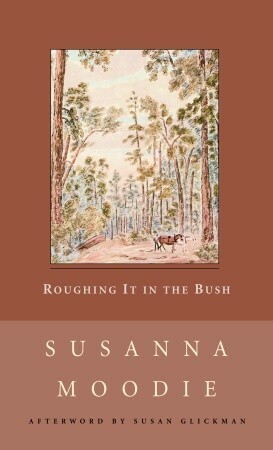 Susanna has written other books, including Life in the Clearings, a sequel to Roughing It In the Bush. 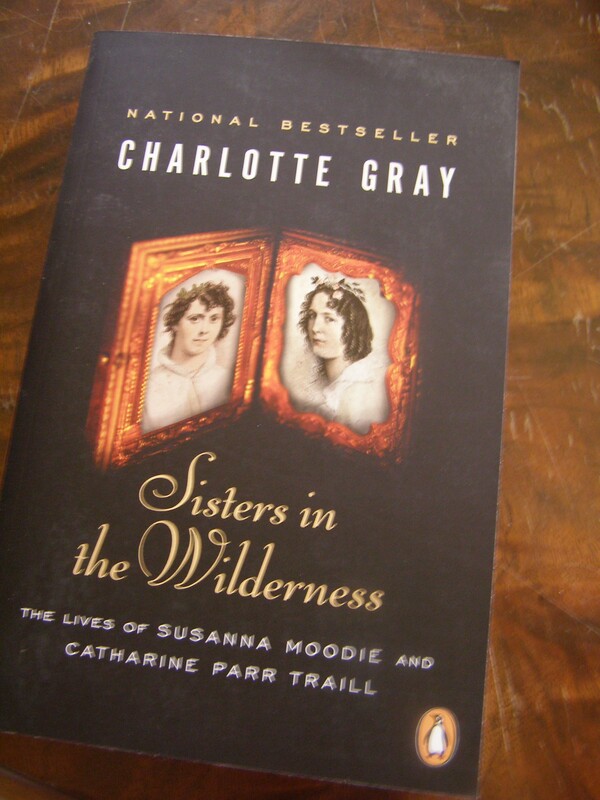 Charlotte Gray has written a book about Susanna and Catherine, and their family, that I’m excited to get to, called Sisters In the Wilderness. 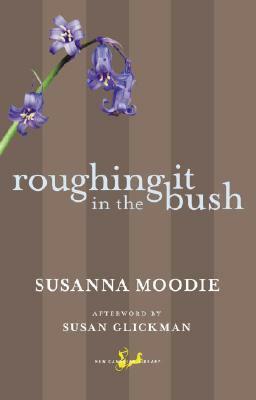 Coming this spring is a graphic version of Roughing It In the Bush for younger readers, called Susanna Moodie: Roughing It In the Bush. 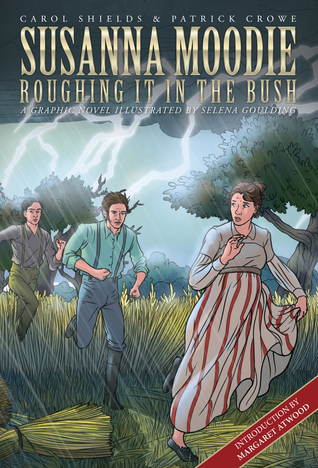 Created by Carol Shields and Patrick Crowe, illustrated by Selena Goulding, and with a foreword by Margaret Atwood. You put in great detail all of the reasons not to become a settler, so it’s amazing that so many people stayed and didn’t give up. I admire that tenacity and I think that’s why the history from this time resonates and is celebrated by us today. Even though I struggled with this book, I still could appreciate everything it represents. I think it says a lot about what people will endure for freedom and the chance for a better life. There were many who didn’t make it, but so many more who did. It was interesting to read her thoughts about the type of people who made it (lower-class people who were already used to hard work) versus the type who didn’t (English gentlemen who thought they could just pay people to do everything for them). Fun format to your review 🙂 You might want to try The Journals of Susanna Moodie by Margaret Atwood (poetry). Thanks for this review, Naomi. I think I would enjoy this book, and the one by Charlotte Gray. Really liked seeing all the beautiful book covers too! One of the best things about writing about older books is getting to show all the different covers! There were more, but these ones were my favourites. 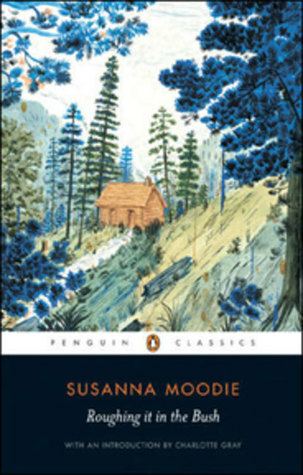 I knew I remembered Susanna Moodie’s name from somewhere – I believe that her writing about Grace Marks in Life in the Clearings sparked off Margaret Atwood’s interest resulting in Alias Grace. 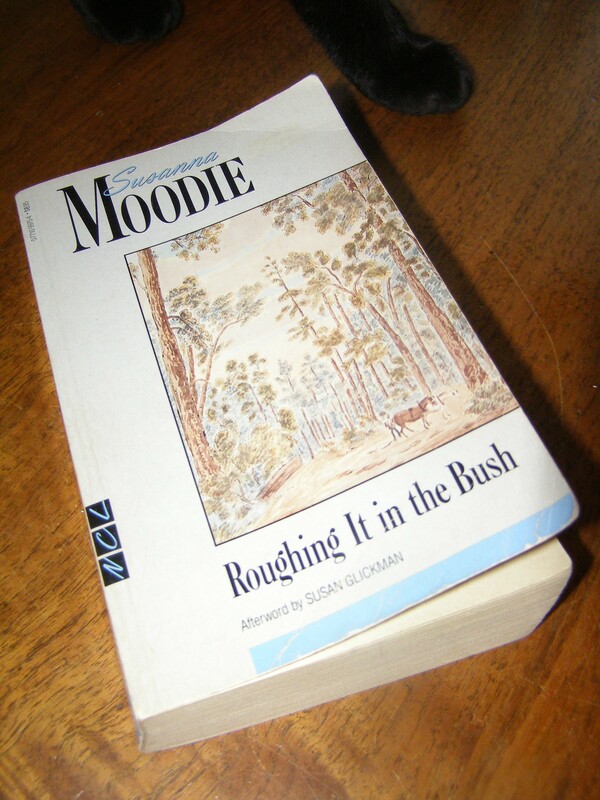 Mrs Moodlie must have been a very good sport: 16 reasons not to emigrate and live in the bush versus three to do so? I’m afraid I know what I would have done! Yes, you’re right! I had forgotten about her mention of Grace Marks! I think I will have to keep my eye out for Life in the Clearings, although I can’t imagine that her ‘easier’ life would be as entertaining as her time in the bush. Great review 🙂 It sounds like a fascinating tale but I would definitely not have coped in her position! It’s hard to imagine living that way, isn’t it?! Another reason to emigrate to Canada in 1832: You’re Irish. It’s books like these that make us appreciate how good we have it today. Our ancestors were tough. You’re right. They were so tough! And, yes, there were also a lot of Irish around. I think several of her servants were Irish. Wonderful review , Naomi. You have pointed out so many great things about this book. The one thing I appreciated most about this book was that it should her transformation from English to Canadian. I don’t think that was a deliberate choice on her part, but if you think how differently she spoke about the people towards the end of the book, then it becomes obvious how much her experience changed her (which is not surprising). I don’t think that she thought she would canoe across rivers and lakes and be proud of that skill when she first arrived in Canada. I agree with you that the book gave a thorough, realistic view at the 1830s, and I think I will read her sister’s book as well at some point. And the Charlotte Gray one has caught my attention as well. But it is not that easy to find around here. My goodness, what a journey. 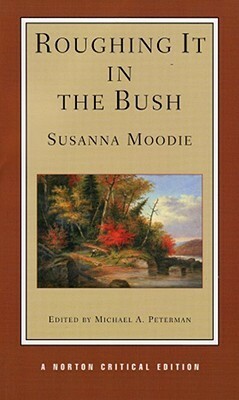 It’s so easy for us to forget how difficult it must have been for a woman in Susanna Moodie’s position at this time. Our lives are so different these days… It sounds like a very thought-provoking book. And Susanna had it easy compared to some women. At least she had a decent husband. So many women were left taking care of the children and farm alone while their husbands were gone or useless. It makes you wonder how men could have thought that women were fragile? Great lists! Do you know, I have never read this one, and I’ve been meaning to do so for years. I’d like to see how it compares with Caroline Kirkland’s book A New Home — Who’ll Follow? Glad to know about the graphic novel version as well. Thanks, as always, for great recommendations, Naomi! I haven’t read the Kirkland book – it *would* be interesting to compare! Same time period, except in the US. Does she also comment on the differences between Americans and Canadians? I’m excited to get my hands on that graphic novel! I don’t think she talks about Canadians, but I could be wrong. It was several years ago that I read it and I do remember liking it a lot. I love this format! Easy to scan quickly! And I love the list of reasons not to live in Canada…rough times. You wonder why they did it?! And I could fit more into my review this way, too! I think it would be especially hard to leave your family and everything you know behind forever. This is fascinating, what an amazing woman. Yes, Catherine was Susanna’s sister. She came to Canada a year or 2 ahead of the Moodies, and they lived near each other (which was so nice for them, I’m sure!). I read Catherine’s book several years ago, and quite liked that one, too. It’s written as letters home to England, describing their first 3 years in Canada. I don’t remember it being as funny, and I think it has more about the plants and animals she comes across. I would like to read it again to compare!. You seem to come up with lots of books I’ve never heard of before. This one sounds interesting. This was better than I thought it would be, actually. I imagined that I would be interested in it for the historical content, but I didn’t know that her writing and stories would be so engaging. I really enjoyed it! Sounds a little like a book I read a few years ago about a schoolteacher who travels from the east to go teach in a school in the wilds of Wyoming. It was really good. That one sounds like Christy, which I loved! It’s not a novel, though. Oh, I know I’m going to have to figure out what it was. I can’t think of a good way to do that except look at my old Amazon purchases. I know I also bought a copy for a friend. I’ll try to remember. It’s Lady’s Choice: Ethel Waxham’s Journals and Letters, 1905-1910. For some reason, I didn’t review it on my web site, even though I was blogging then (2013). I’m not sure why, as I have reviewed pretty much everything I have read. Perhaps that’s when I ordered it for my friend; maybe I read it before that. But I read about it when I read Annals of the Former World (it’s about the grandmother of a person who appears in that book), which I DID review. Hmmm. It must have just slipped through the cracks. Somehow I must have read it and forgotten to write it up in my book journal. I can’t stop laughing about Tom Wilson #5!! Lol!! I’m happy it made you laugh! There were some very funny characters and parts in this book. Tom Wilson was a hoot. I love this review. Also, Margaret Atwood has an early book of poems called The Journals of Susanna Moodie, which is excellent (she signed my copy!). I’m thinking I need to read those! I was also worried about it’s heft and possible over-seriousness. But I was pleasantly surprised that it was very readable, and even funny! Glad you’re enjoying it! And, thanks for weighing in. If you have more to say when it’s finished, just come back! The conduct of many of the settlers, who considered themselves gentlemen, and would have been very much affronted to have been called otherwise, was often more reprehensible than that of the poor Irish emigrants, to whom they should have set an example of order and sobriety. The behaviour of these young men drew upon them the severe but just censures of the poorer class, whom they regarded in every way as their inferiors. I agree. Well said! And, thanks for stopping to comment!